Google AdWords is a powerful, in-depth advertising platform. Once you get the campaign basics down and have some initial ads data to work with, you should explore more ways to customize your ads and campaigns to do what’s best for your business and clients while maximizing your ad spend. 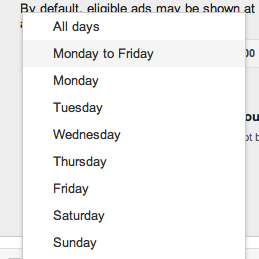 One cool feature AdWords offers is the ability to set a schedule for when your ads will show. You can even go back and add a schedule after the fact to your existing campaigns. That’s right – so if you’ve determined that your clients are most oftenÂ searching for information and services related to your business, during the traditional 9 am -5 pm workday, only have your ads run Monday through Friday from 9 am to 5 pm local time. Conversely, if you get a lot of evening and weekend traffic (think: restaurant or bar), you might find it makes the most sense to only run your ads from late afternoon into the night, Wednesday through Saturday. 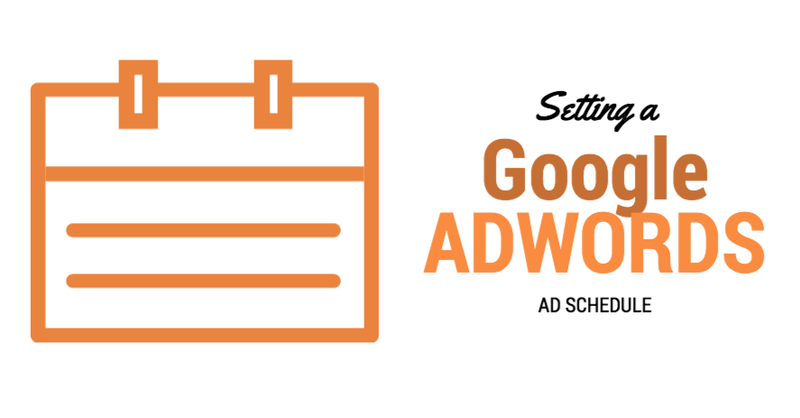 No matter your specific timing needs, the Google AdWords platform will deliver using the Ad Schedule feature. 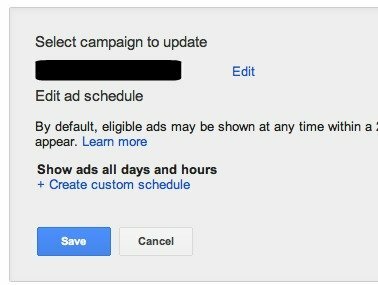 From the All Campaigns view of your Google AdWords dashboard, click on Settings, and then Ad Schedule. Next, click on the red + Ad Schedule button. 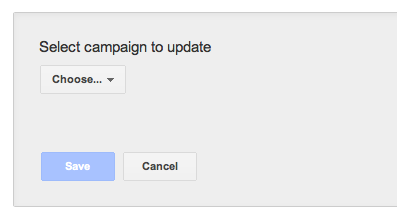 Then you’ll see the a drop down menu option asking you to select a campaign to update. Clicking on the Choose button reveals a list of all your existing campaigns. 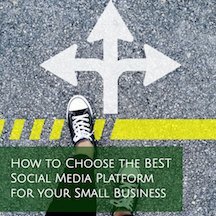 Select theÂ campaign you’d like to set an ad schedule for from the list. Then click on the blue Create Custom Schedule link at the bottom. Choose the days of the week and times of day you want your ad to start and stop showing. Click the +Add button to add more parameters to your ad schedule. You have the option to group Monday-Friday together at once, or treat each day of the week individually. Once you are done, simply click Save and you’re set! 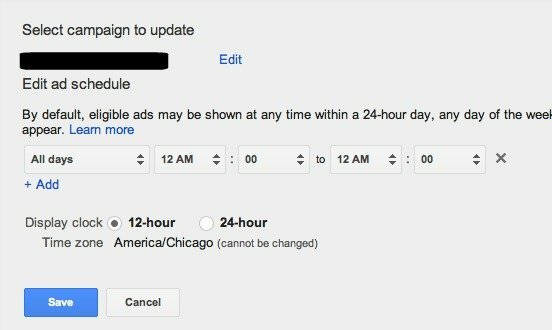 Your ads, when active, will only run during the specific time ranges and on the specific days you set.